Set up notifications to be sure the cleaning or maintenance job you scheduled took place when it should have. Notifications are an essential part of using Properly to streamline your changeover operations. You’ll want to know when your requests for cleaning and maintenance services have been accepted or declined, if any problems were reported at one of your properties, and when a new booking has been made. You should also ensure that your service providers configure their notifications. You’ll want them to know right away when you have a new job request so they can respond promptly. On the web, navigate to your profile by clicking your initials in the lower left-hand corner of the page. A menu will appear. The Notifications page will show you options for which events will send you notifications, and the channel on which you’ll receive those notifications. From left to right, you can receive notifications by email, SMS text message, or via a Properly app notification on your phone. We recommend setting up notifications for all events by email. That way, you’ll always be able to search your email for any change that was made for any property. 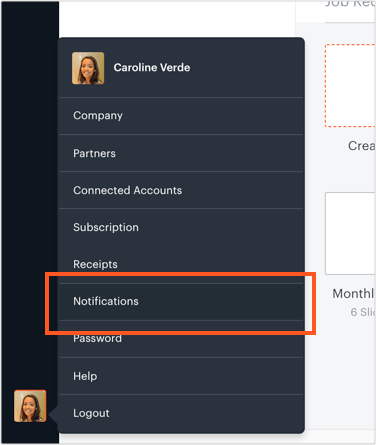 For complete peace of mind, you should activate all notifications so you know when jobs are started and finished, when you have bookings, and when you receive responses to your feedback.